I can not believe that doing a search for this brings no results! Is it possible these are not made? well, i think i solved the problem. the pigtail is not made, but for some stupid reason, only the plastic part of it is. Luckily for me, I have the pin connectors to go in them from other plug connectors i use. NPD carries them as well. Now then, the 1970 version of the door jamb connector uses 3 pins, and that connector is not reproduced. Out of well over 400 I've seen (covering 70-73 models), I've seen about 3 intact ones. The latches usually break off. 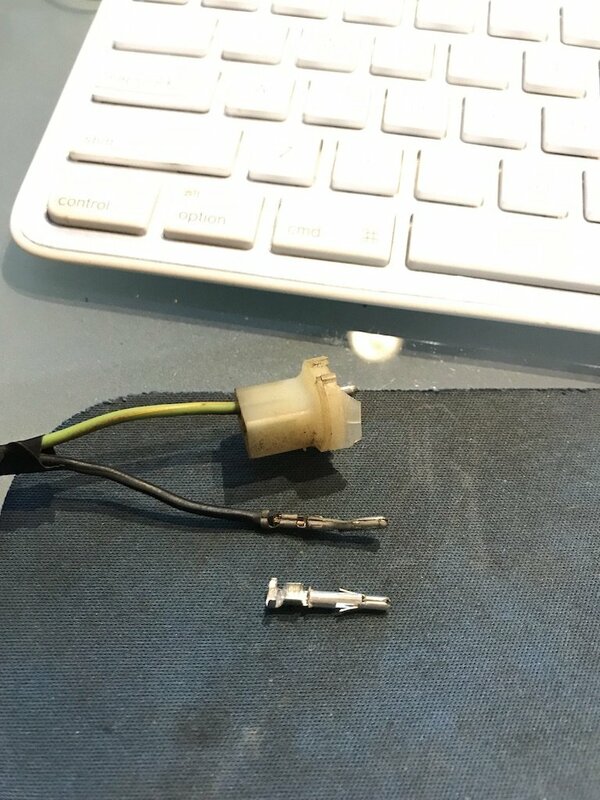 I also was looking for this plug since the previous owner cut many of the connectors off the harness for the engine bay and the dash harness. Looking the 2 pin one. Ill just need to put in the pins/.